Swiss Chard is one of my favorite vegetables to grow and eat. I love the color it adds to my backyard garden, not to mention meals! I like to dedicate a entire bed to Swiss Chard because we eat a ton of it! Did you know that Swiss Chard has a lot of health benefits? The best part, it is easy to grow too! First things first, lets talk about the health benefits of Swiss Chard! Everyone likes to talk about kale…but not many of us like to eat it. I am hear to say forget kale and bring on the chard! Blood circulation and blood pressure – thanks to Swiss Chard’s iron and copper we can improve our blood circulation and help to ward off anemia. And with the phyonutrients and antioxidants that it has, we can help to reduce our blood pressure. Heart health – anti-inflammatory properties help us in preventing heart attacks and strokes. Hair – Swiss Chard has biotin! Biotin helps our hair grow, and improve the quality of of hair. 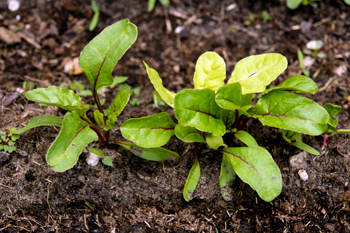 Eyes – Carrots aren’t the only veggie with beta-carotene, Swiss Chard has it too. Swiss Chard is easy to eat in a variety of ways. You can use it much like you would any leafy green. I like it in salads, stir-fry or just sauteed up as a yummy side. I use it as a spinach replacement, a lot. It is so much easier to grow than spinach, so we usually have it readily available. I know a friend that uses the large Swiss Chard leaves to make her cabbage rolls. So many ways to use it in your meals! growing season is usually the opposite of the rest of the country. I get my rainbow Swiss Chard from Seeds Now and have been very pleased. I grow my Swiss Chard in 4×4 raised beds that are 6 inches deep. If you are using the Square Foot Gardening method, you can put 4 seeds in every square foot. You’ll need a good, rich soil. I find that starting with my own compost makes for the best growth. You may want to fertilize once or twice during the season as well. It should take about 60 – 90 days for you to be able to harvest your first crop. You can start harvesting when leaves are 6 – 10 inches long. To harvest – cut or pinch off at the base. Only harvest your outside leaves, leaving the tender or new inner leaves for a continuous growth. Swiss Chard can be a great companion plant for tomatoes, onions, beans and the cabbage family. But remember chard can get pretty large and crowd out your plants; plan accordingly. Keep your chard away from potatoes, corn, cucumbers, melons and most herbs. 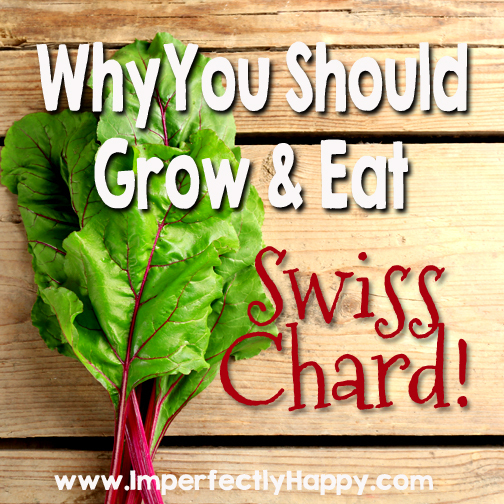 I know you’re going to love growing and eating Swiss Chard!